From Mediaite: Dana Perino bashes Obama for commenting on Trayvon Martin over the case of the baby who got shot in the face by two black teenagers. Mediaite reports, “Former Bush Press Secretary Dana Perino continued the weekend’s primary conservative argument on This Week with George Stephanopoulos, when she asked why President Barack Obama chose the Trayvon Martin shooting as a subject for a national address (albeit an impromptu one) but not any other crimes—specifically, the March shooting of a toddler in Brunswick, Georgia by two black teens. 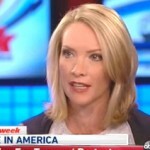 ‘When a president speaks, it’s to multiple audiences,’ Perino said. ‘So from the prism of self-defense, when you think of a young mother whose two year old son was shot in the face by the two black teens who approached her in Atlanta, and that baby has died—Why do presidents choose to speak about one case and not the other? That’s why it’s better maybe not to talk about any of them. They chose to talk about this one. '” Read on here. From Gossip Cop: If you woke up this morning and managed to make it to noon without hearing the news that Kate is in labor, then you must not have turned on your television this morning. Gossip Cop reports, “Kate Middleton is currently in labor. The Duchess of Cambridge checked into St. Mary’s Hospital in London prepare for the birth of her and Prince William’s baby. Clarence House, the official residence of the royal couple, announced on Twitter early Monday morning, ‘Her royal highness the Duchess of Cambridge has been admitted to St. Mary’s Hospital, Paddington, London, in the early stages of labor.’ A spokesperson for Middleton and William said, ‘Things are progressing as normal. '” Read on here. From Geekosystem: People are really excited for the birth of the royal baby. Reports Geekosystem, “As you’ve no doubt heard this morning honest-to-goodness, real life princess (OK, Duchess of Cambridge, technically) Kate Middleton has gone into labor at a UK hospital, meaning we will soon have a brand new royal baby on the planet. While this is news that a frankly shocking number of people seem to care about real hard, we’re hard pressed to care about it as much as we apparently should. We’re not alone in being ready for the royal baby news to just stop, though. British paper The Guardian is offering readers on the UK edition of its site the option to eliminate its front page section of constantly updating royal baby news with just one click.” Read on here. From Styleite: Is Cameron Diaz leaving Hollywood for the fashion industry? Styleite answers, “Cameron Diaz has an unrivaled paired of limbs, which surely gives her a very particular set of skills in the shoe department, but is that enough for her to make the grade as an artistic director for footwear and accessories label Pour La Victoire? We need some major convincing. Don’t get us wrong, we have worshiped Diaz ever since she and her shoe closet were stalked in There’s Something About Mary, and think her personal style is definitely on par with Hollywood’s most influential style setters, but we imagine that her fashion resume definitely reads more along the lines of a brand ambassador. But according to Cam, that’s just not her style.” Read on here. 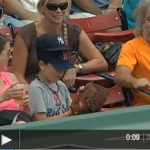 From SportsGrid: A young Red Sox fan tricked the Yankees coach into giving him the foul ball at the Red Sox v. Yankees game: the key is to bring two hats, one for each team, and after you’ve disgraced the other team, then you put your real team on. SportsGrid reports, “We’ve always been told that tricks are for kids, but I’ve always had a sneaking suspicion that they might actually be for adults. This young Boston Red Sox fan has proved me wrong, by tricking New York Yankees third base coach Rob Thomson into giving him a foul ball.It was a clever little move by the boy, and quite the oversight by the coach. Alex Rodriguez reportedly waited for the kid at home after the game, pushing him to the ground and stealing his lunch money and selling him steroids.” Read on here. From The Mary Sue: San Diego Comic-Con has come to its end, until next year. Reports The Mary Sue, “Nineties one-hit-wonders aside, yesterday brought an end to the glorious nerdfest that is SDCC. Sunday yielded lots of TV news from shows like True Blood, Arrow, Supernatural, Community, and Doctor Who– from new characters to new spinoffs, and even some new directions. It’s been a good one, SDCC. See you next year! 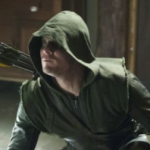 The newest actors to join the cast of Arrow are Michael Jai White and Kevin Alejandro– White will play league-of-assassins-member Bronze Tiger, and Alejandro will play Sebastian Blood (‘drawing from the New Teen Titans nemesis Brother Blood).” Read on here. From The Jane Dough: A year of stress, troubles, and having to do everything yourself warrants a desperately needed vacation, one that is tailored to address what ails you. The Jane Dough writes, “Job drain. Family stress. A long illness that you’ve finally kicked. A prolonged bout of creative malaise that you still need to kick. We all have reasons for craving some R&R. But instead of booking another standard-fare vacation, why not plan a getaway that’s tailor-made to help address what ails you? From mental-detox trips to the perfect escape for couples in need of a break from the kids, these 14 destinations may be just what the vacation doctor ordered.” Read on here. From The Braiser: Paula Deen has been faced with a lot of changes lately. Now, she’s also facing a divorce. Reports The Braiser, “Whomever The National Enquirer has embedded in Paula Deen’s camp is good. The gossip paper, which broke the news of Deen’s racism deposition in the first place, claims that Deen’s husband and Ernest Hemingway lookalike Michael Groover plans on filing for divorce. Apparently her defense that he was a casual racist, so it was totally cool for her to say the n-word did not make him feel loved and supported. ‘Paula’s confession not only toppled her multimillion-dollar cu­linary empire but also sent Michael into a rage because she revealed in the deposition that he liked to tell racial jokes, according to the friend,’ the Enquirer revealed, adding that the limelight-avoiding ‘quiet Southerner’ had been harassed by strangers after the story broke and was sick of being guilty by association.” Read on here.